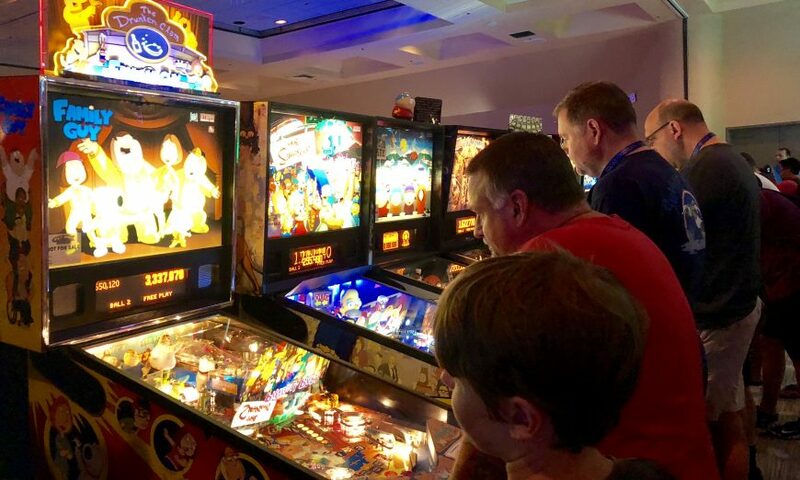 Arcade games might seem like a thing of the past, especially with the technological advances in gaming today, but a group of pinball enthusiasts believed the outdated game machines were still worth sharing with the community. And so California Extreme was born. 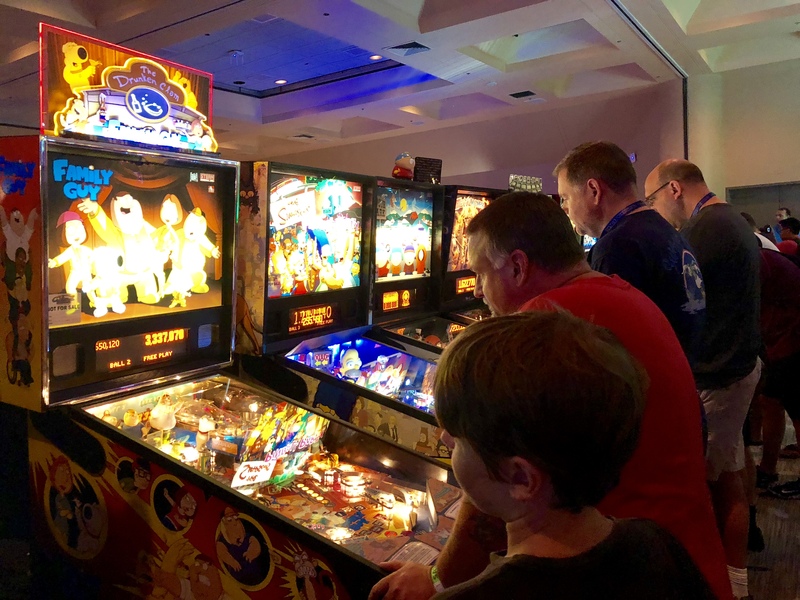 Founded in 1997, the annual “Classic Arcade Games Show” celebrates all things arcade with over 400-600 playable machines, guest speakers and more. This year’s celebration took place at the Hyatt Regency in Santa Clara from July 28-29. In the early 1990s, Ken Chaney met and befriended a group of like-minded people at a local pinball league. A few of them had already been collecting a couple of machines, and they thought it would be fun if more people could enjoy them. So Chaney and the others found an abandoned bookstore in the old Town & Country Village in San Jose (now Santana Row), brought their own games, enlisted famous pinball designer, Steve Ritchie, as a guest speaker and opened the show to the public. Since then, the show has upgraded its space from the bookstore to the Hyatt, increased access to a huge collection of games — including rare prototypes never released to the public — and is now celebrating its 22nd anniversary. Most arcade machines run on a coin-operated model, but California Extreme doesn’t operate that way. With admission, attendees can play as many games as they want — no quarters required. This also removes problems like coins being jammed, stolen, etc. Over the 8-bit sounds of the machines, Dan Amrich’s voice can be heard giving the announcements. Amrich started volunteering as the show’s announcer 10 years ago. His first gaming experiences were in the arcade in the late 1970s. Despite growing up with arcade machines, he finds them more easily accessible than home gaming system nowadays. Because of the simple gameplay, California Extreme has brought people of all ages to the show, including Don Rouse. He’s been attending the show for the past couple of years. He may come for the games, but he appreciates the culture displayed at the show, too. It’s clear that these machines are outdated and people are opting for more advanced gameplay, especially in the comforts of their home, so there aren’t many arcades left.